Mahindra TUV300 gets a "T10" luxury update | IAMABIKER - Everything Motorcycle! 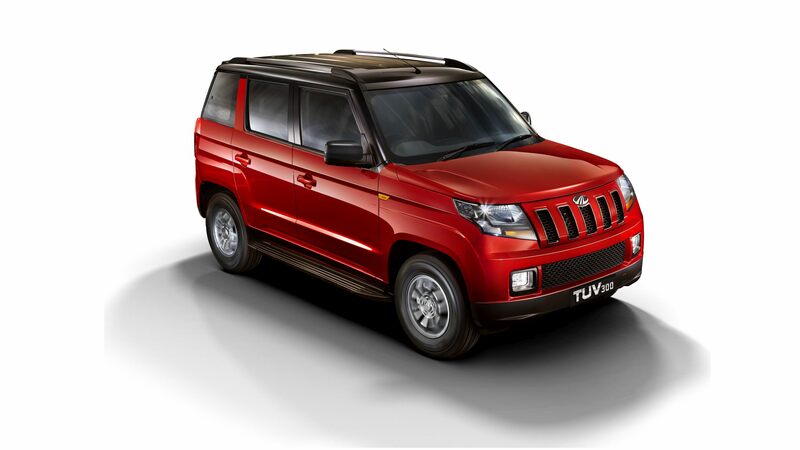 Mahindra today announced the launch of the luxurious high-end ‘T10’ variant of its bold and stylish TUV300. Priced at Rs. 9.66 Lacs (ex-showroom Mumbai), the Mahindra TUV300 T10 variant comes packed with a host of premium, high tech features. Pan India bookings are open across all authorised dealerships. The Mahindra TUV300 T10 has introduced a new high-end 17.8 cm (7”) colour touchscreen infotainment system with GPS navigation and plush faux leather seats. The infotainment system boasts of a capacitive touchscreen, Video and Image playback via USB in, BlueSense Technology, as well as a driver information system. With interiors designed by legendary Italian design house, Pininfarina, the cabin is both premium and luxurious. The new Pearl White colour also adds a premium appeal to the TUV300. The exterior is further enhanced with a black chrome finish on the front grill and fog lamps, static-bending headlamps with carbon black finish and a glossy metallic grey finish on alloy wheels, roof rails and the rear spare wheel cover. Customers will have the option to choose from a wide array of attractive colours, namely the 2 stylish dual tone colour options of Red + Black / Silver + Black, Bold Black, and the newly introduced Pearl White. In addition to this, customers also get the option to personalise their TUV300 T8 variant with the newly introduced ‘T8 Luxury Edition’ kits. These equip the T8 variant with a sophisticated touchscreen, faux leather seats, chrome add-ons and a host of tech features.